We don't get fresh milk in Gabon. I didn't even think that was possible. I figured everyone had fresh milk. Apparently not. It's called UHT milk or Ultra High Temperature milk which means it's heated to 135 degrees C for a few seconds before it's bottled, sealed and stuck on a shelf. Yes, that's right, a shelf... and not in the fridge. It has a shelf life of 6-9 months. Once open, it must be kept in the fridge and spoils after a few days. 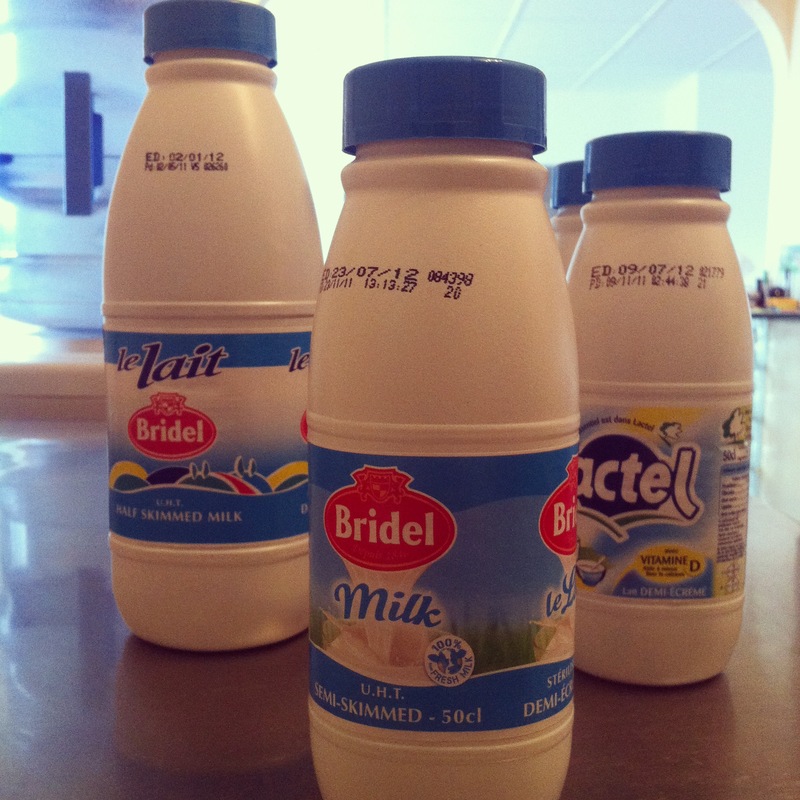 Apparently, 95% of France consumes UHT milk which completely baffles me. Yes, it's convenient that you don't need to worry about refrigeration and you can always keep a stash of milk in the pantry but it just doesn't taste good. (This coming from someone who grew up allergic to milk and limits milk intake to lattes but I can confirm that a latte with UHT milk does not measure up to a latte with fresh milk.) Joe, however, does drink milk (or used to.) He now limits his milk consumption to cereal and even so, much of the milk is left in the bowl when he's finished. Agreed, UHT milk tastes yucky!